Elizabeth provides high-quality editorial support, media targeting and outreach, strategic message development, and research services to a wide variety of KARV Communications clients. She has worked on comprehensive communications strategies for promotional and reputation-building campaigns for KARV’s international and domestic clients, as well as special financial situations and product launches. 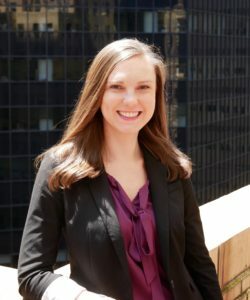 She researches and monitors national and international policy issues facing clients, and she has experience working with domestic and international organizations including corporations across a range of industries, government agencies, universities, and non-profits. Prior to joining KARV, Elizabeth worked in book publishing for seven years. As an editor at St. Martin’s Press, she published a broad range of fiction and nonfiction, including Ausma Zehanat Khan’s critically acclaimed novels which are currently in development as a television series. She also provided editorial support and project management to a variety of New York Times bestselling authors. Elizabeth received a BA in English Literature from Davidson College and currently lives in Queens, New York.